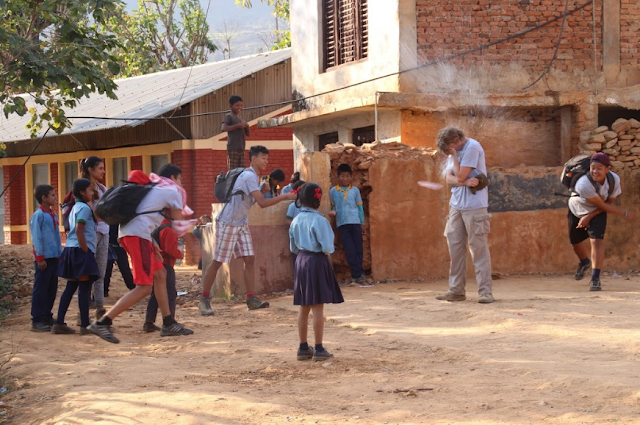 For the 2016-2017 Service Nepal trip the grade 10 class traveled to Nuwakot, visiting Bachhala school to help with construction alongside the organization All Hands Volunteers. This trip was very engaging and required our class to dedicate their full energy to the tasks at hand. From working on the construction site, to hikes back to the campsite, for many of us sleep came easily. But the trip didn’t just give our 10th grade class a few blisters, instead we are left with memories that will last so much longer than the blisters on our feet. 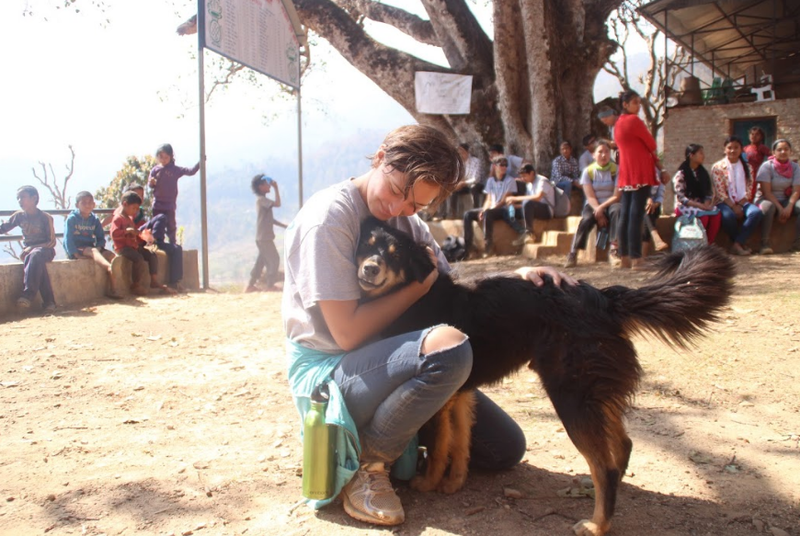 Our class got to teach other students, in lessons that vary from arts and crafts, to geography and menstruation. 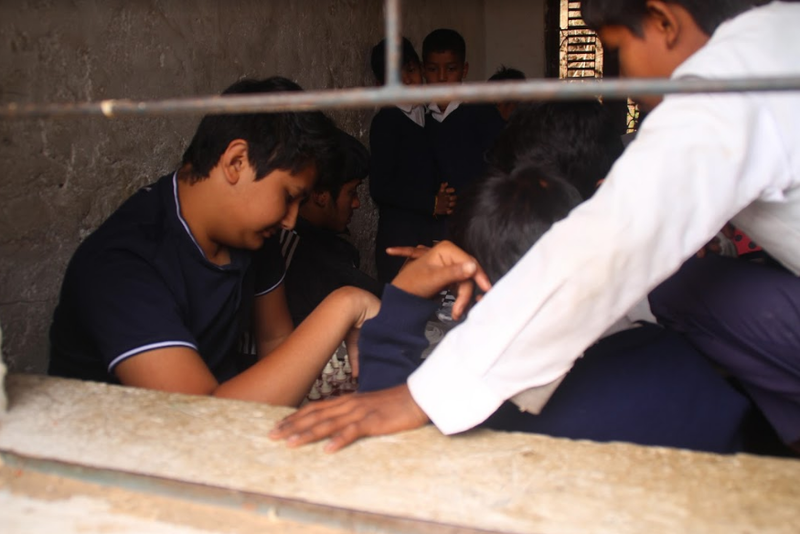 Each of these lessons not only taught our students the struggle of teaching, but also forced many to learn how to work around communication barriers, a skill which is getting further useful in a globalized world. 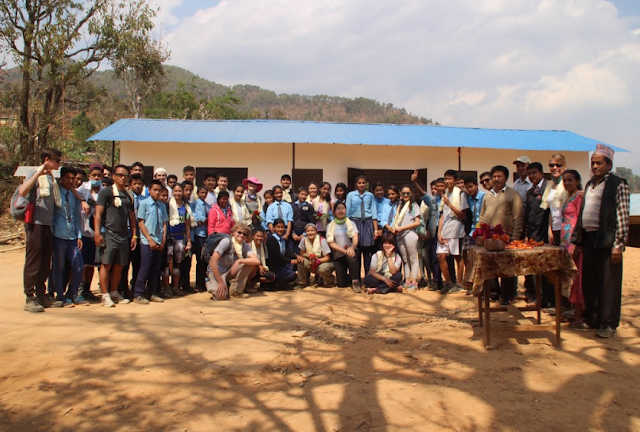 It also allowed us all to bond with our fellow classmates and the students at the Bachhala school through a buddy system and cultural walk​ and also the volunteers of All Hands. In fact, whether it was bending rebar, painting, tying wire or shoveling gravel, we all had someone guiding us through it. 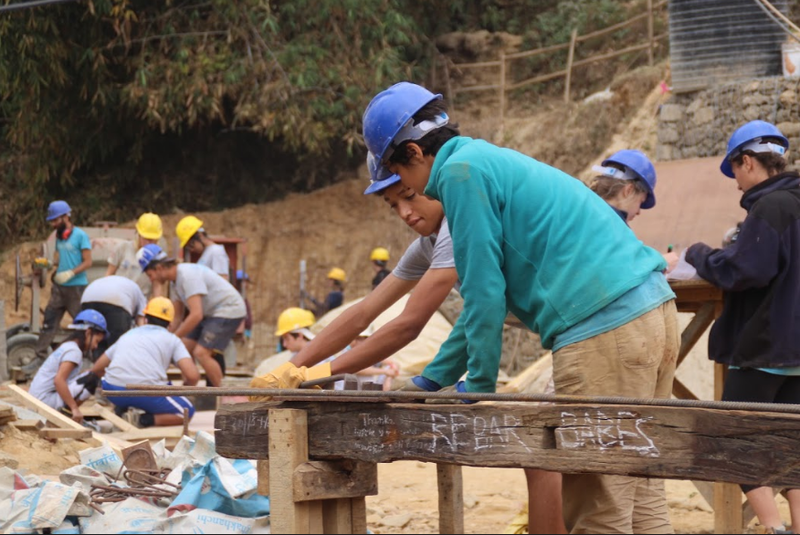 We all learned new skills during the three days of construction work. As one student explained, “I learned how rebar support goes into buildings for concrete to be poured. And I learned how everything comes together to make a nice building.” Another student said, “ [I learned] what it really feels like to be dirty for 5 days in a row, and how much fun it is even though it may be tiring to be working on a work site with other people.” One student reflects on their interaction with their buddy as, “Though we’d only known our buddies for a short period of time it was easy to form friendships with our buddy. Talking with my buddy I got to see her village through a new perspective, and I especially enjoyed our short cultural tour with our buddies because it was unlike anything we’ve done in previous trips. It was an emotional farewell on our last day.” From these experiences the class of 2019 picked up more than a handful of skills. Beyond working and hiking, the 10th grade class also created many great memories as a group. Some of these experiences, no matter how small, will never be forgotten by our class. 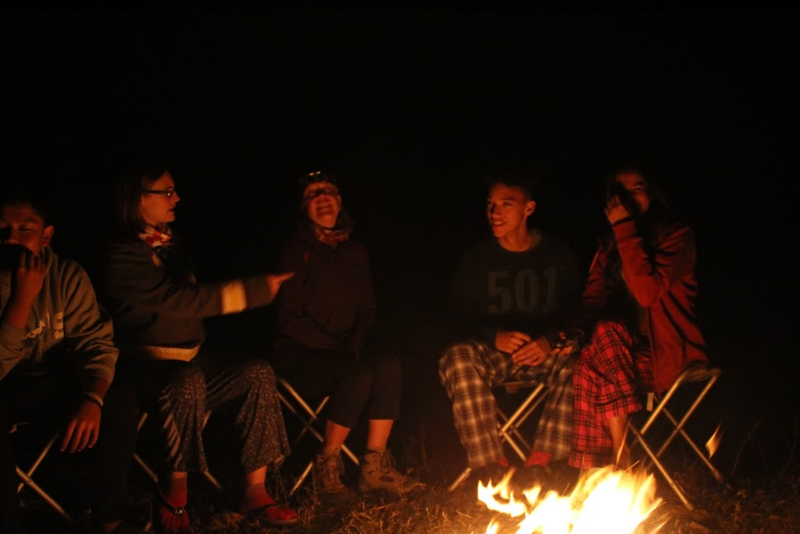 These experiences ranged from the campfires every night, where many of our classmates told scary stories about backward feet ghosts, to joining in sing-alongs from Disney to hip hop; these nights were definitely worth looking back on. One of the most memorable moments of our trip was the 11 kilometer hike and subsequent arrival at the long awaited Famous Farm. And that last night, singing and dancing, and experiencing Mr. Anuj’s madal playing skills, his Nepali songs, and crazy dance moves was a highlight. The class is definitely walking away with memories we’ll all remember. From things as simple as the animals in the area, to donating Bachhala our excess supplies and watching the amount of joy they got from something so simple, to learning how construction really works, to knowing that this school in the making has been impacted by us, we all took away experiences that were special to us in one way or another, and we are confident that these memories will shape us both as individuals, and as a class. See you next year!